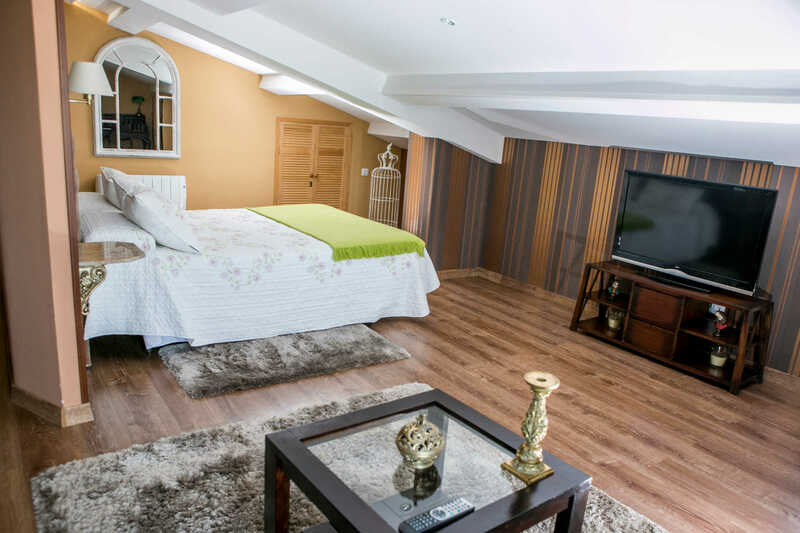 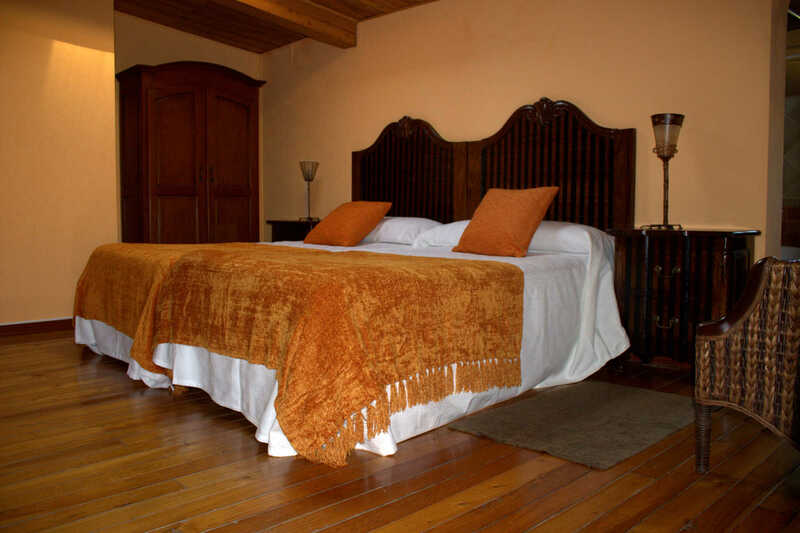 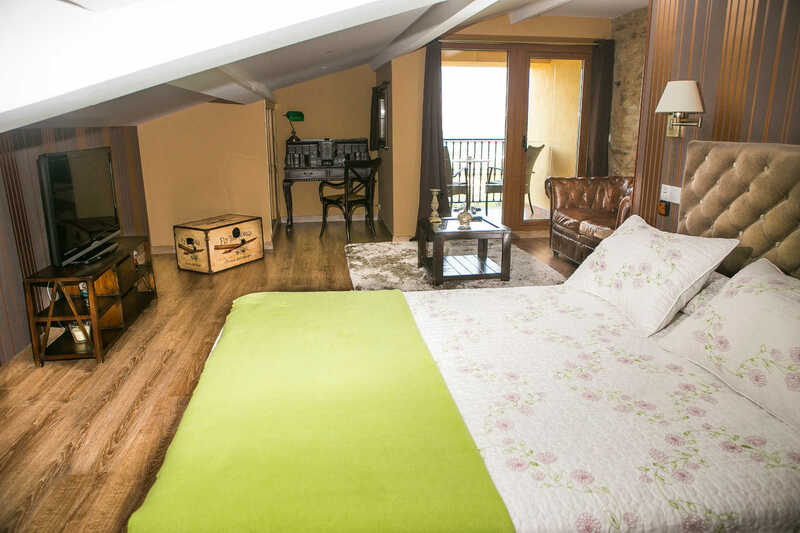 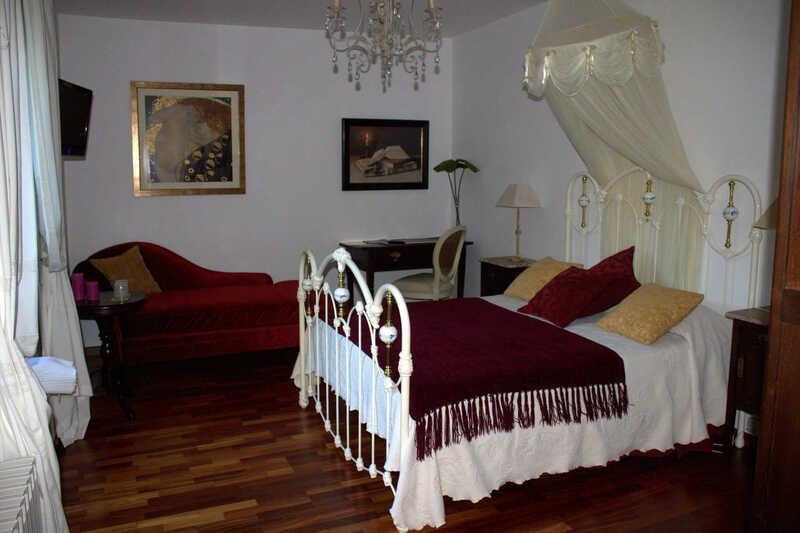 This room is located on the second floor and consists of different spaces throughout an open attic loft.. 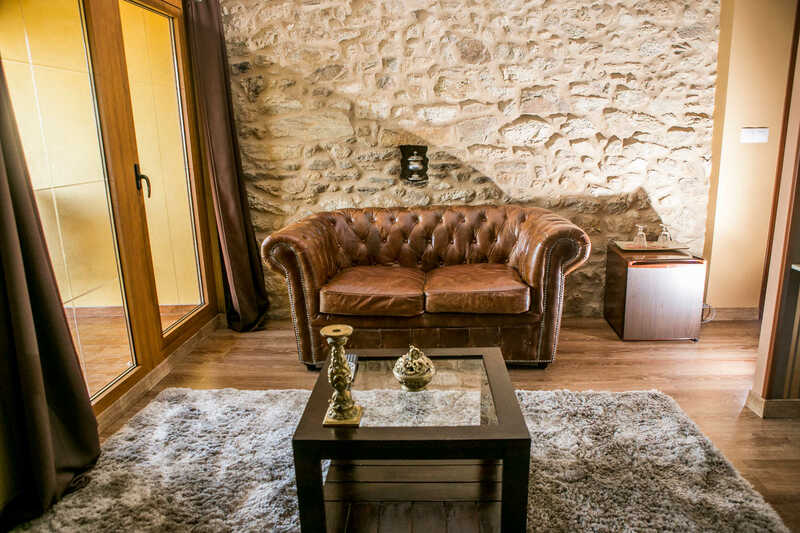 In the main space there is a double bed, a sitting area with a sofa and a coffee table and a small corner with a gorgeous secretary desk suited for working. 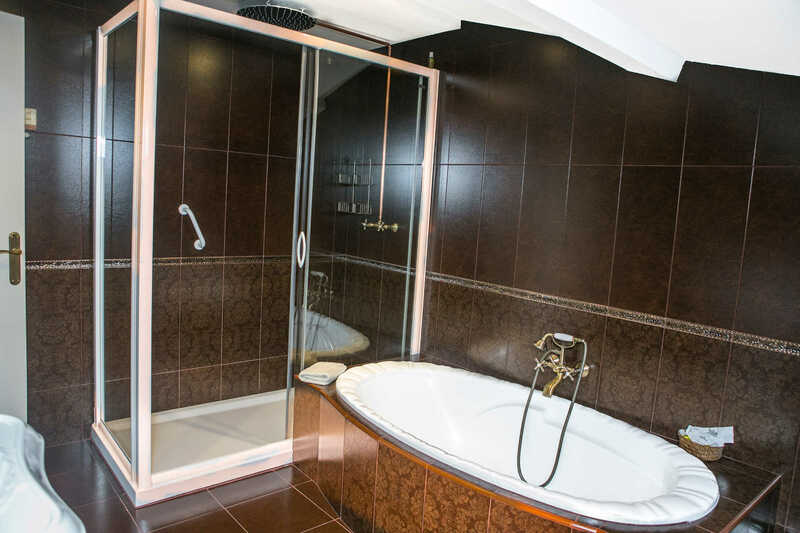 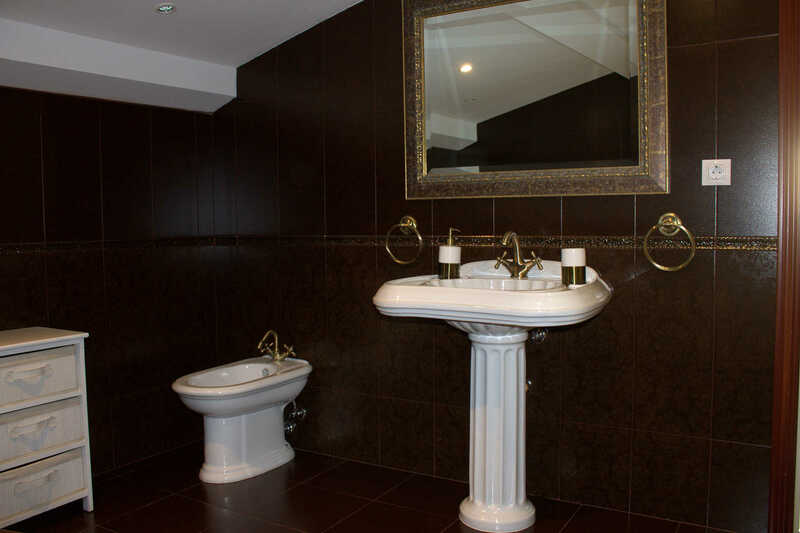 It also has a large bathroom with a bathtub and a separated shower with rain like showerhead. 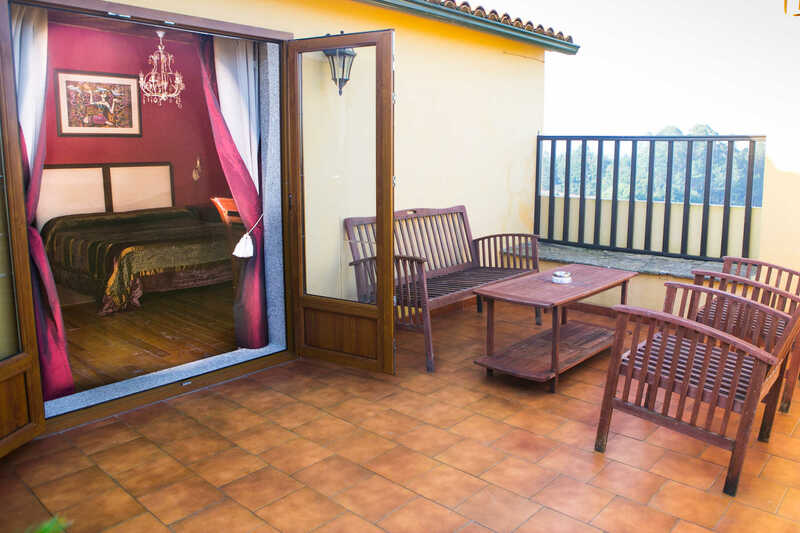 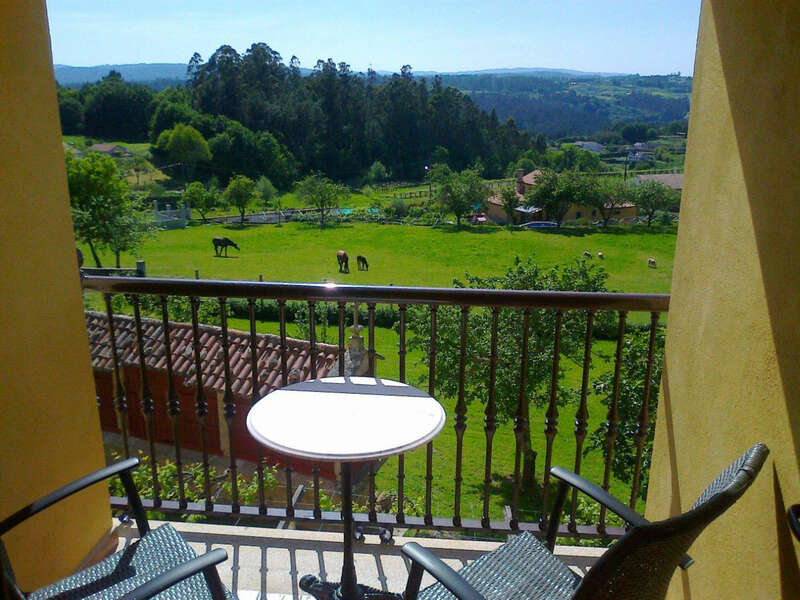 A balcony overlooking the pool, the barn and the garden completes this marvelous apartment.